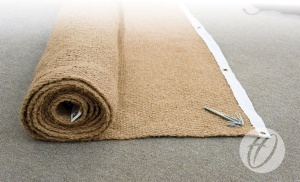 1.8m wide long lasting brown fibre matting. Each length has strongly bound eyeletted ends. Complete with 10mm ground pegs.